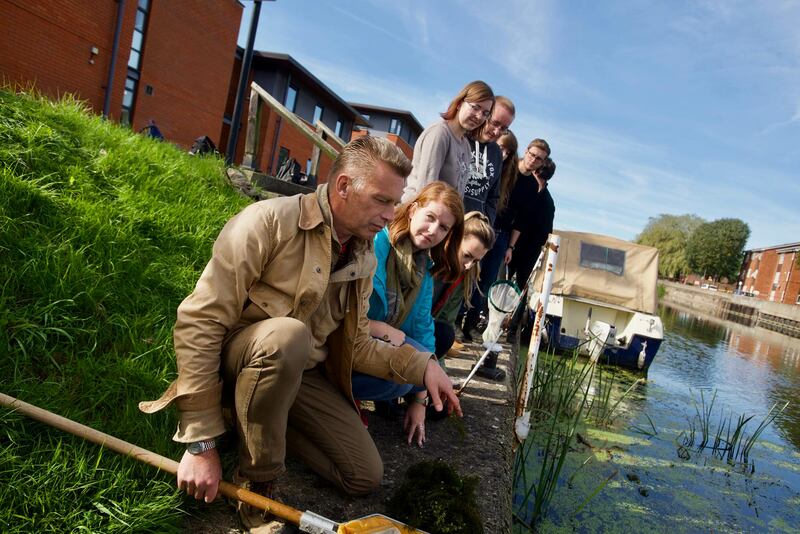 Naturalist and TV presenter Chris Packham has led the University of Lincoln’s first ever ‘BioBlitz’, to unearth biological information about exactly which plants and animals call the Brayford Pool campus ‘home’. Chris visited the university on Monday, October 3 as part of his role as visiting professor in the School of Life Sciences. 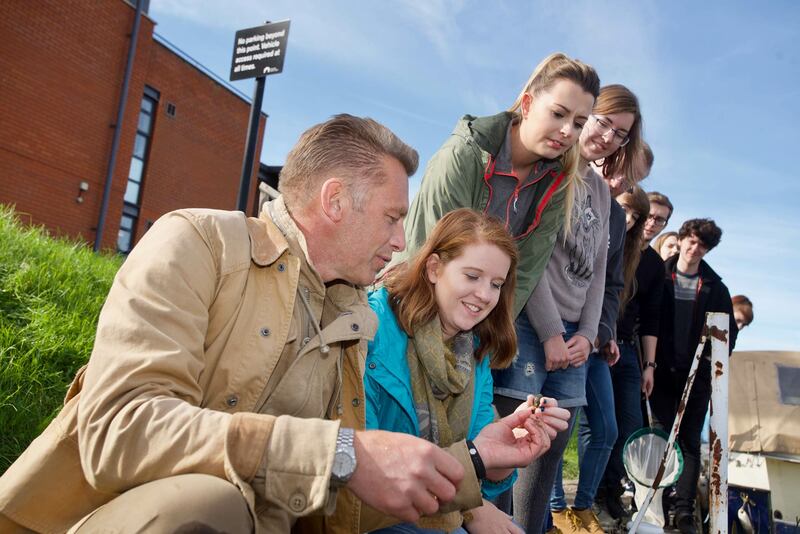 He led students from the school on a thorough examination of the many different habitats hidden away on campus. The information gathered from this will feed into a major national database which brings together details from similar events across the UK. 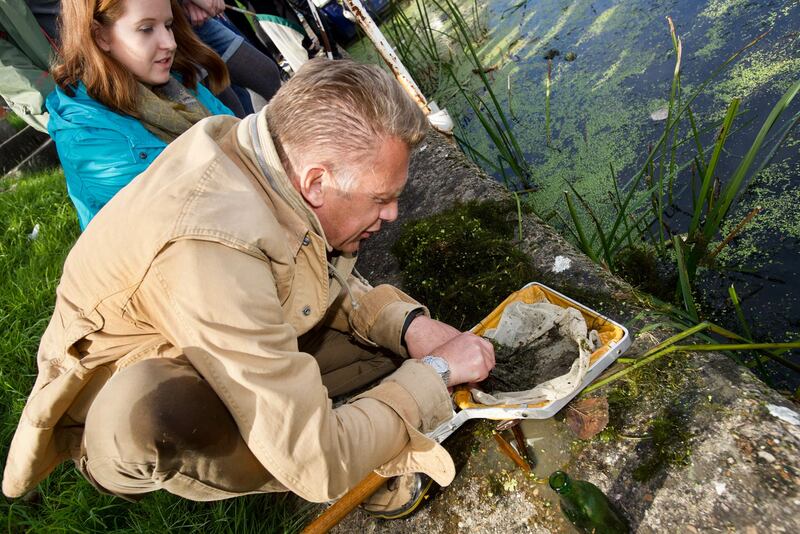 With a broadcasting career spanning almost 30 years, Chris Packham is one of Britain’s best-known conservationists and is renowned as a presenter on the BBC’s popular Springwatch and Autumnwatch series. A ‘BioBlitz’ is an intense period of biological surveying in an attempt to record all the living species within a designated area. They are regularly carried out by scientists, naturalists and volunteers to help build an understanding of different species and their preferred environments. Lincolnshire Talks: A county for young women to flourish in?